In November 2016, Floridians overwhelmingly voted in favor of Amendment 2, with over 70 percent votes in favor of that measure which required 60 percent approval for it to pass. Amendment 2 is a bill that expands the use of medical marijuana in Florida for patients with certain diseases and conditions. However, just because medical marijuana has been allowed in Florida it does not mean that penalties for the illegal use, possession or distribution of recreational marijuana have become any less severe. It is important to understand Florida’s marijuana laws as well as Florida’s new medical marijuana laws and regulations. If you find yourself in trouble with the law and in need of an attorney for drug charges, Stout Defense, P.A. can provide you with a reliable marijuana defense attorney in Gainesville, FL. As of now, there are only a handful of companies that have been authorized to distribute medical marijuana in Florida. The first dispensaries can be found in Tallahassee, Clearwater, Tampa and southern Miami-Dade County. However, physical access to medical marijuana remains uncertain as some counties across Florida are establishing temporary prohibitions on opening dispensaries. This is because the Department of Health is still creating regulations and deciding on how to set parameters for the program in order to fully protect the use of medical marijuana. For example, regulations need to be set on how far marijuana treatment centers need to be from schools, churches, and parks and whether people with criminal records should be allowed to run dispensaries. For the time being, however, eligible patients can receive up to a 45-day supply through delivery. Some of the complications that the legalization of medical marijuana in Florida is facing revolves around businesses and employment. Amendment 2 provides little insight on how it will impact employers and the process of hiring in regards to drug-testing. The law, however, does not require any accommodation of on-site medical use of marijuana in a place of employment. Therefore, employers can prohibit employees from smoking or consuming medical marijuana at the workplace and if an employee fails to adhere to such guidelines, they will be responsible for the consequences despite their medical marijuana registration card. This is because marijuana is still illegal under federal law so people with debilitating medical conditions using medical marijuana are not protected under the Americans with Disabilities Act. As of now, employers in Florida can also continue to maintain a zero tolerance drug policy even if the employee uses medical marijuana off-site. In Florida, the penalties for illegal recreational marijuana are based on quantity and whether the charge is for possession, sale, or for hash and concentrates. For possession of less than 20 grams of marijuana, the penalty is considered a misdemeanor punishable by up to a year imprisonment and a maximum fine of $1,000. Possession of 20 grams or more is considered a felony and is punishable by a maximum sentence of 5 years in prison and up to a $5,000 fine. For quantities higher than 25 pounds, the penalties increase. The penalties for the sale of marijuana follow basically the same guidelines as possession. Possession of hash, concentrates and extracts however, are a lot more harsh than possession of regular marijuana. Possession is considered a felony of the third degree with a maximum imprisonment of 5 years and a fine of up to $5,000. For extracts of marijuana such oils and edibles, the weight of the controlled substance is the total weight of the mixture, this includes any other substance present apart from cannabis. 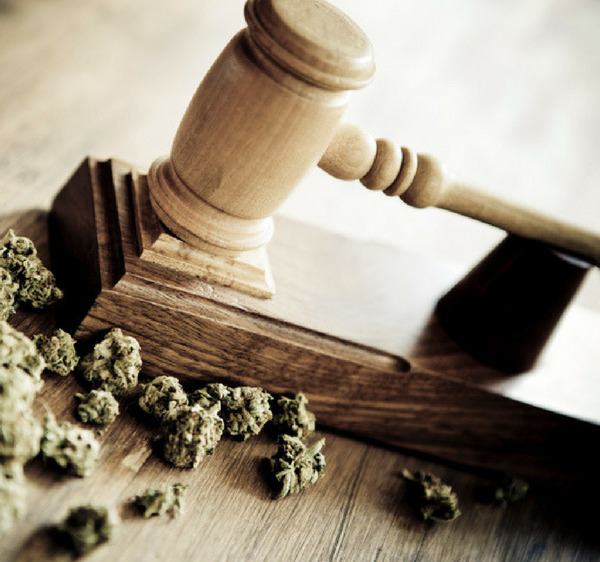 Drug charges for marijuana are not to be taken lightly and you should contact a drug defense attorney immediately, a criminal defense lawyer by your side may help reduce your charges. Trust Stout Defense, P.A., for a Gainesville criminal defense attorney to represent you. Alachua County has an ordinance allowing deputies to issue a civil citation rather than arrest a person found in possession of less than 20 grams of marijuana. However, officers still have the option of charging the suspect with a misdemeanor. This was implemented in order to lessen the extent of minor marijuana infractions on the lives of those found in possession. For example, although a civil citation is public record it is less likely to appear on a criminal record search for employment or education. The county ordinance establishes a $100 fine and eight hours of community services for a first offense; a $150 fine and 12 hours of community service for a second offense; and a $200 fine and 16 hours of community service for a third offense. In order to receive a citation for a third offense rather than criminal charges, the offender must consent to a drug screening and attend treatment and anti-drug educational programs. The concern with this ordinance, however, is that police officers have the option of choosing whether to give a citation or make an arrest, which could lead to bias decisions. If you are found in illegal possession of marijuana, it is imperative that you contact a Gainesville drug lawyer to represent you. The consequences of such charges can have a big impact on your future life, despite medical marijuana being legalised in the state. At Stout Defense, P.A., you can count on us for a criminal attorney in Gainesville, FL.